This blog includes information for tech startups and entrepreneurs. Read on these three significant solutions from Nanit, smart baby monitor app. Adopt these solutions during baby monitor app development. 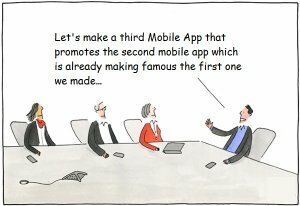 We live in an era where mobile applications have become the substitute for everything. We, adults, are not only reaping the benefits of technology and mobile apps, even, infants also do. Talking about the apps, sleep monitoring apps for babies have already revolutionized the sector. It would be great to know about the smart baby monitor called as Nanit for the IoT era. Nanit is one of the first companies in this industry. The baby’s sleep monitoring solution has taken the pain out of the most strenuous task of parents, especially new parents, and making sure that their babies get good and sound night’s sleep. According to the report from Crunchbase, “On May 21, 2018, Nanit has secured $14M in Series B round of funding that led by Jerusalem Venture Partners (JVP).” Moreover, Nanit has also solved the mystery of sleep. Let’s know more about the Nanit, the smart baby monitor app. 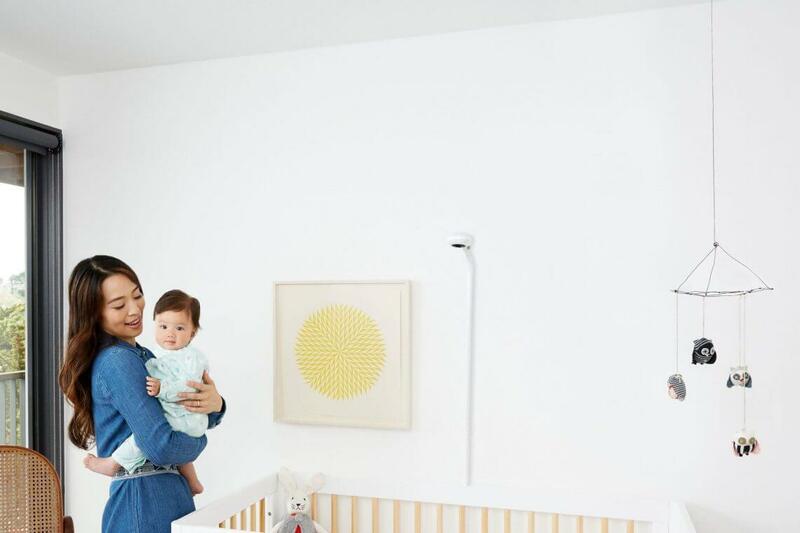 Launched back in February 2015, the smart baby monitor, Nanit is founded by Assaf Glazer, Andrew Berman, and Tor Ivry. 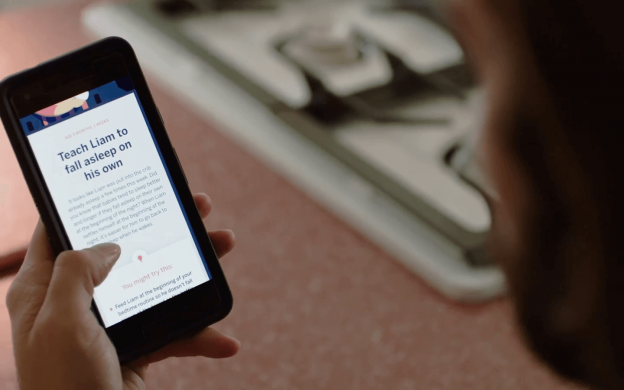 Greater New York Area-based Nanit is with total funding amount of $28.6M. The Nanit company has developed advanced computer vision and machine learning algorithms in order to help users to measure the behavior of babies or humans. 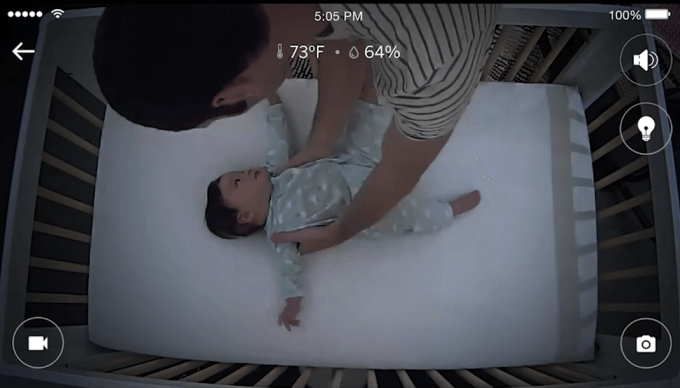 If we’re talking about baby’s sleep monitoring product from Nanit, which is a three-ounce camera, attached to a 10.5-pound base, suspends the camera over a crib. The product’s design ensures that the fusion of the sleep monitoring product and app for babies is the revolutionary idea for sleep-deprived parents, especially new ones. With Nanit, the smart baby monitor app, users can HD live stream of their babies on their phones no matter where they are. It also works when there is no internet connectivity. Furthermore, users (new parents) can understand their babies’ sleep patterns by just monitoring with the app. 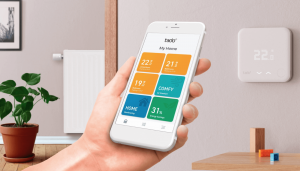 It also lets its app users with optional insights and provides them with an intuitive breakdown of infant sleeping patterns, including the heat-map of infant movement. Its insights generate color-coded sleep score based on baby’s sleep by using four key metrics i.e. sleep patterns, sleep onset, total hours of sleep, and parent interventions. 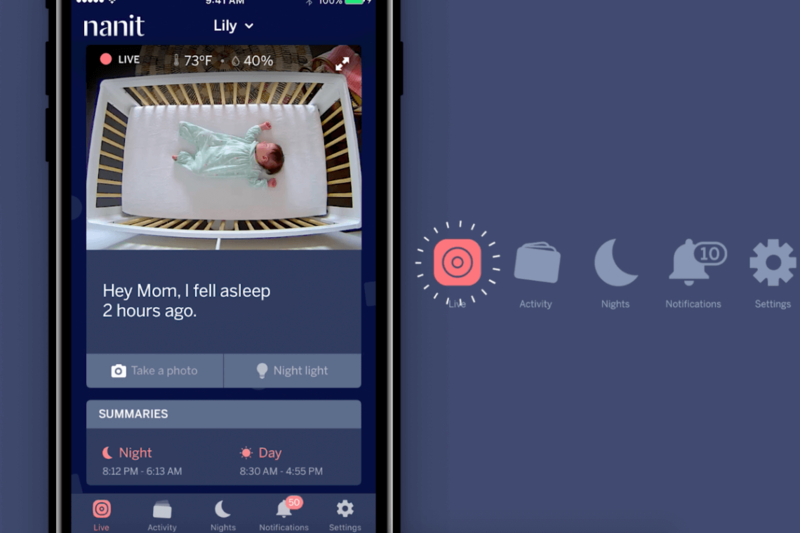 Well, the baby sleep monitoring app like Nanit makes sure that babies get a good night’s sleep. When it comes to the performance of the Nanit app, then the usage rank is #148 across Google Play Store, according to the latest data from Similar Web. One of the significant solutions from Nanit app is to analyze your customers’ pain points. Alike Nanit, smart baby monitoring app, has worked to take the pain out of one of the strenuous tasks of new parents. And, it is important to make sure their babies get a good night’s sleep without making them sleep deprived. There is a significant solution is to provide solutions to sleep-deprived parents in terms of online platform and from where they can know the insights of sleep patterns of their babies. When we go more technical, the hypothesis is that there is an indication of asleep and awake states. And, with the help of the camera, it would be easier to track sleep patterns of baby’s sleep as in whether the baby is in deep sleep, awake, sleep or REM (Rapid Eye Movement) sleep. Such solution is a powerful way to analyze the pain points of your customers and with the help of tech solutions, your users can capture a lot of things around the sleep architecture. Users can track the different parts of the body and have better resolutions. 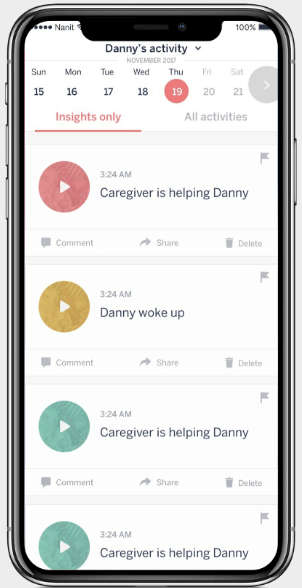 Being a technical startup, it is important to consider such powerful solution to take the pain of parents (app users) out and provide good night’s sleep to them while developing smart baby monitor apps like Nanit. The next important solution is to recognize your market niche before developing baby monitoring app like Nanit. Being a startup, if you don’t have an idea where to start from, then it is important to know your market niche where customers are. Alike smart baby monitor app, Nanit, it has made New York as a targeted market. In simple terms, your targeted niche or market is where actually customers are. So, it is important to recognize a well-defined targeted market more than anything. Furthermore, it is important to note that targeting a specific market that does not mean you as a startup is neglecting other people who do not fit in the criteria of yours. However, targeting in a particular niche or market will help you to target on the message of your brand and the benefits, which you can earn from your baby monitoring app. Well, it is also recognized that New York is one of the hot niches for launching the product. Because New York is the region where the customers are, in terms of diverse culture and background. 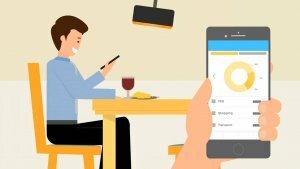 So, if you are all set to create a successful baby monitoring app like Nanit, then this is one of the highly recommended solutions to consider during baby monitor app development. The next significant solution is right for busy parents. And, baby monitor apps are successful to provide solutions to busy parents by machine and deep learning technology as what Nanit has adopted. 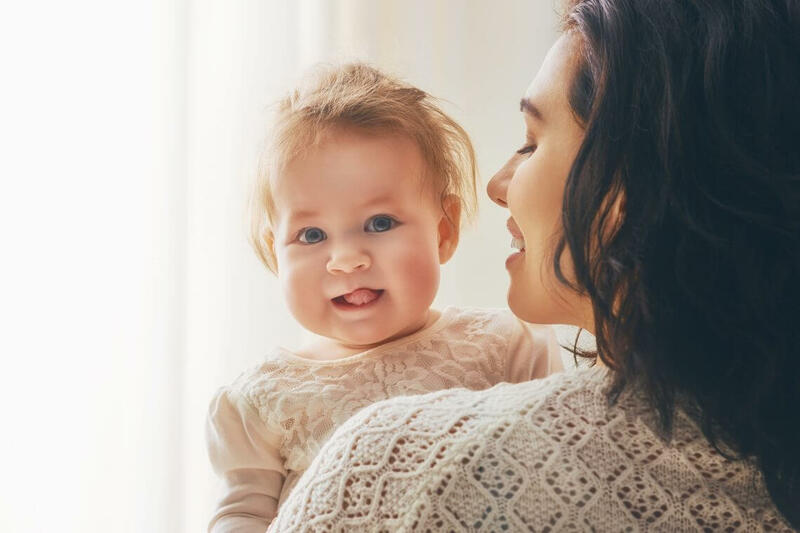 The smart baby monitoring app like Nanit does not only provide solutions to infants but their parents, too by virtually stalking them but not actually out there. Baby monitoring app, Nanit has not forgotten to provide a better experience to parents. Well with the help of baby monitoring app like Nanit, parents can continually monitor their infants. Nanit app also provides a convenient night light, nature sound generator, and white noise maker. Apart from baby sleep solutions, baby monitor app can also track temperature, humidity, sound, and motion. All top of it, being a startup, it is important to consider such significant solutions, which we have compiled. You have just gone through with the proven solutions from Nanit, smart baby monitor app, which you can consider while developing apps for baby monitoring without a second thought. If you are having an app idea on apps for baby monitoring, then you can cross-verify it with us as we are a leading Android/ iOS app development company. And, we’ve already developed over 3500 mobile applications in diverse categories along with unique features and functionalities. This page was last edited on April 10th, 2019, at 8:49. How This Million Dollar Photo Video App Beat Facebook by 23%?